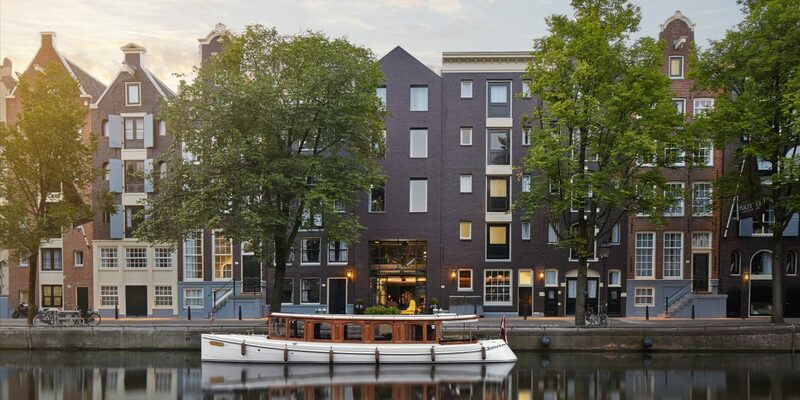 Of the 60 or more miles of canals crisscrossing Amsterdam, the perfectly preserved 18th-century waterways that comprise its central canal ring are considered the crème de la crème of housing real estate. 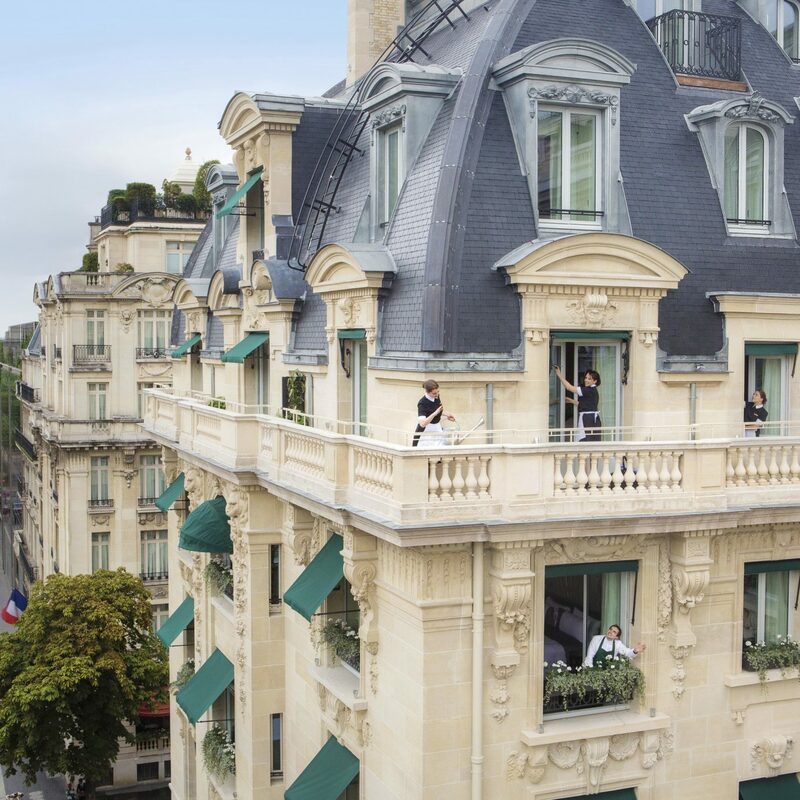 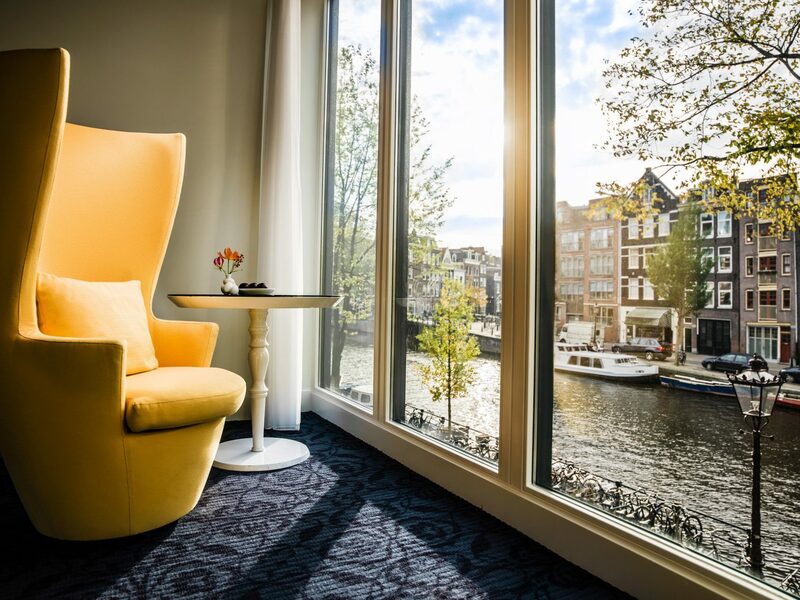 Undoubtedly, the city's five best canal-side hotels—both old-world and modern marvels—make great use of those views. 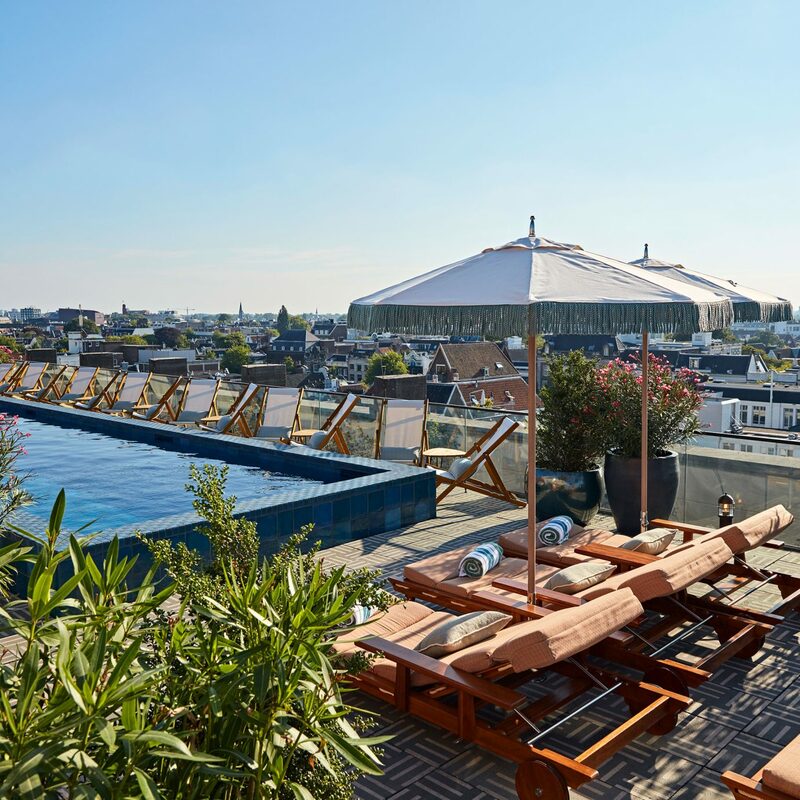 The Pulitzer, an Amsterdam icon for centuries, recently received a much-needed refresh. 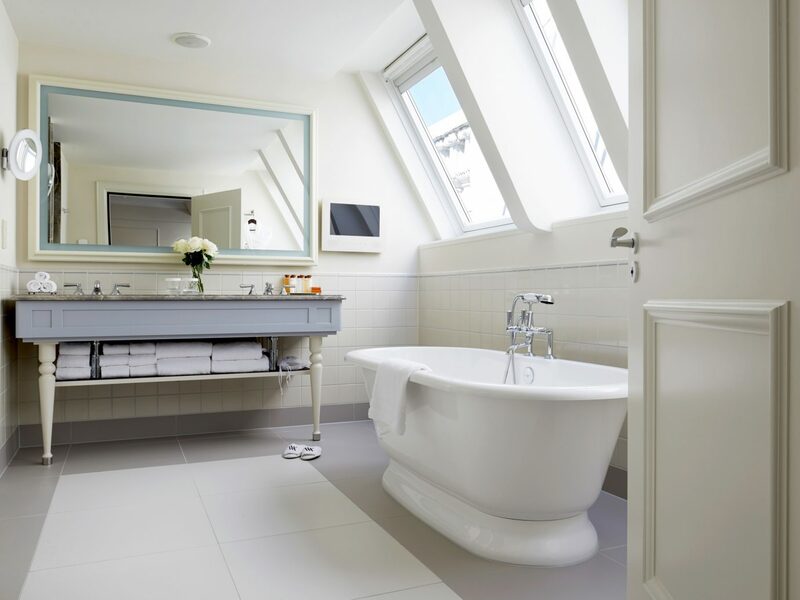 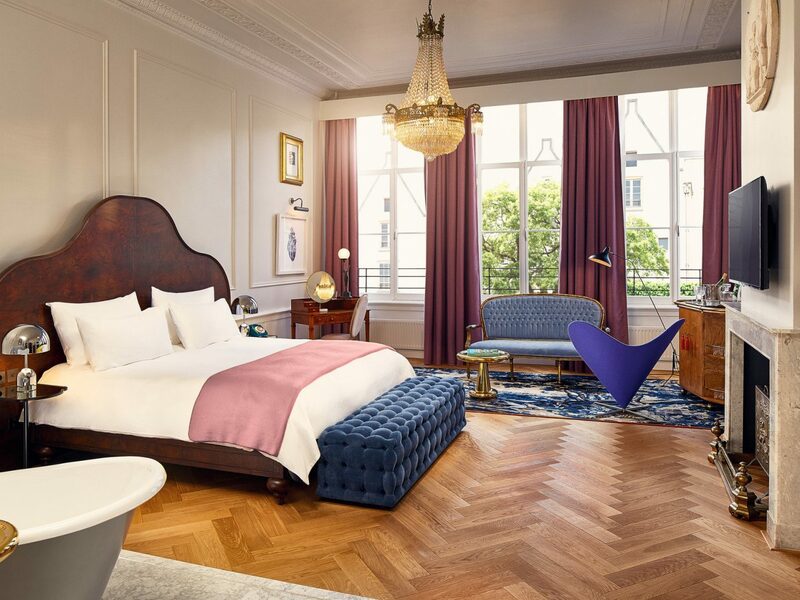 Each of the 225 rooms, spread across 25 historic houses flanked by the Prinsengracht canal on one side and Keizersgracht canal on the other, have been individually redesigned as artful combinations of past and present Dutch aesthetics. 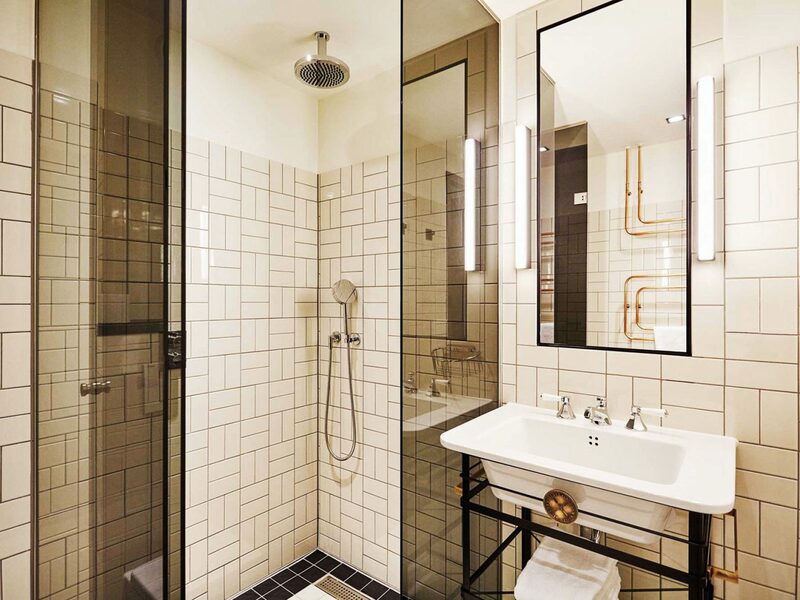 For inspiration, Creative Director Jacu Strauss drew heavily from the dark, moody work of Old Masters (oil paintings and gold-framed mirrors sourced from city markets; Delft tiles and stucco ceilings), but also included modern pieces such as Maarten Baas furniture and Persian rugs by Piet Hein Eek. 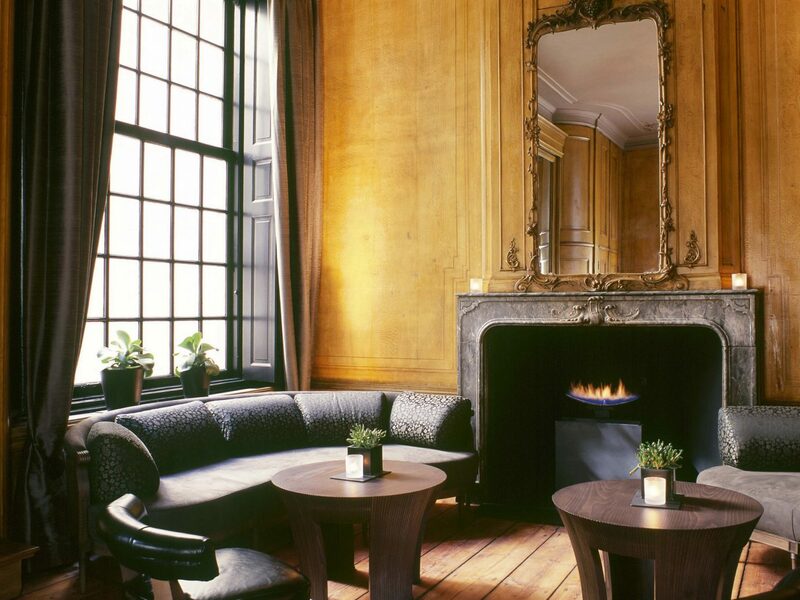 Hop on the hotel’s 1909 classic salon (just Winston Churchill did in 1946) for a cruise through the city. 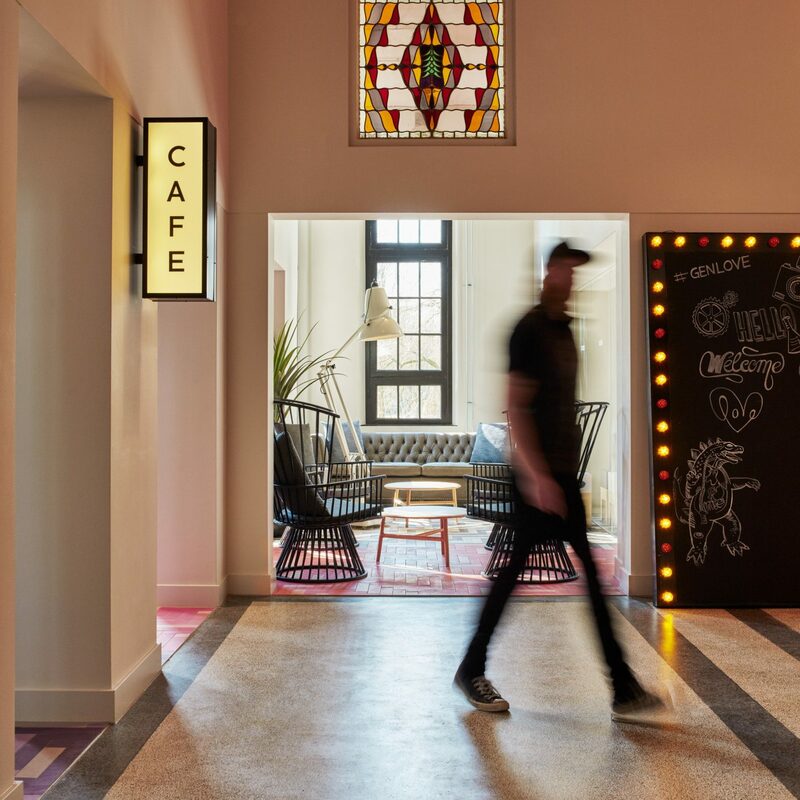 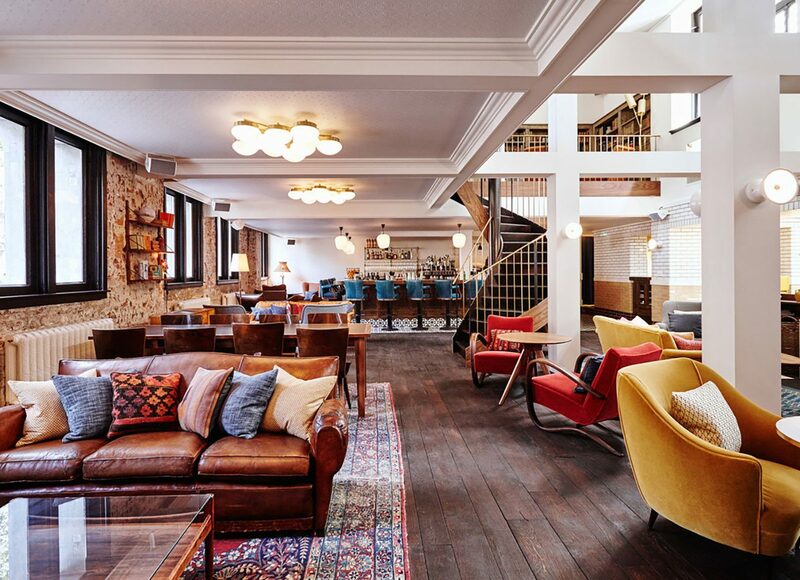 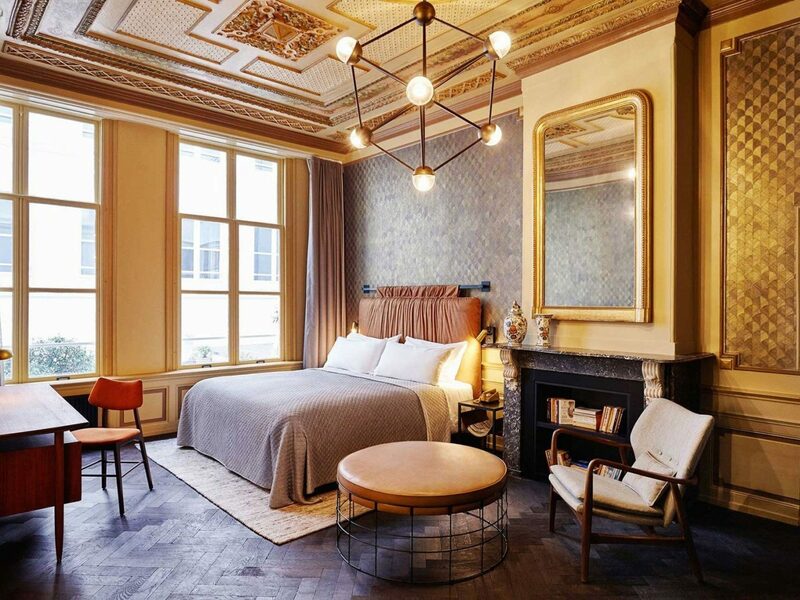 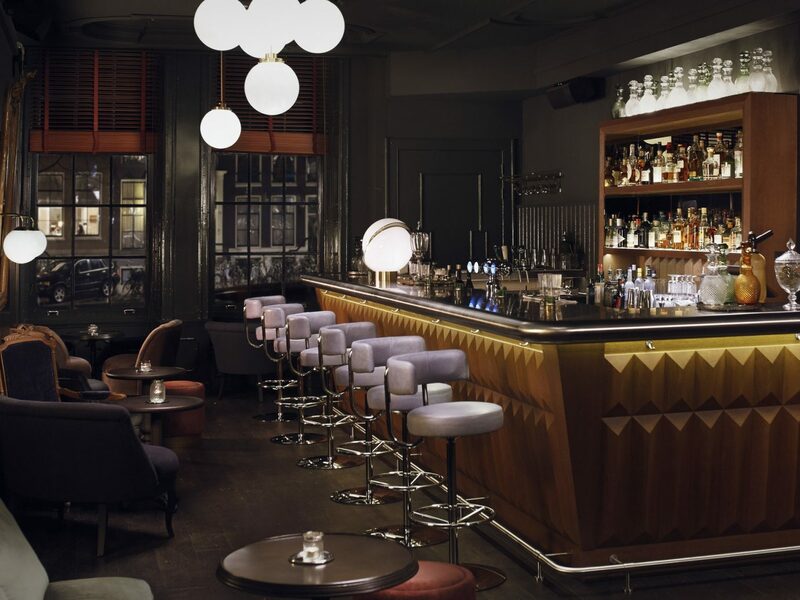 Five separate townhouses along the Herengracht canal, minutes from the city’s best museums and bars, are now the 111-room über-chic Dutch outpost of renowned hotel group Hoxton. 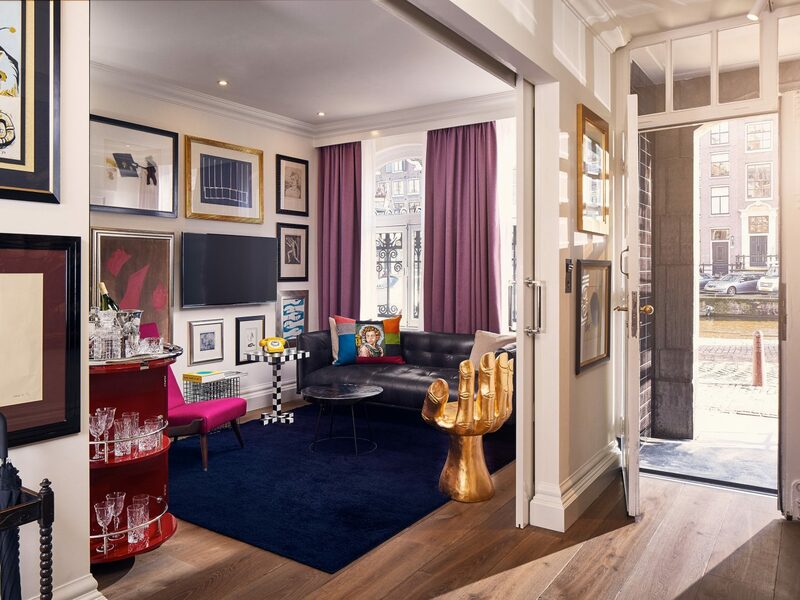 The stylish interiors are best described as contemporary luxe—ornamental ceilings; clashing wallpapers; rich textures of velvet, leather, and rattan—but it’s the rooms overlooking the canal you’ll most want to book. 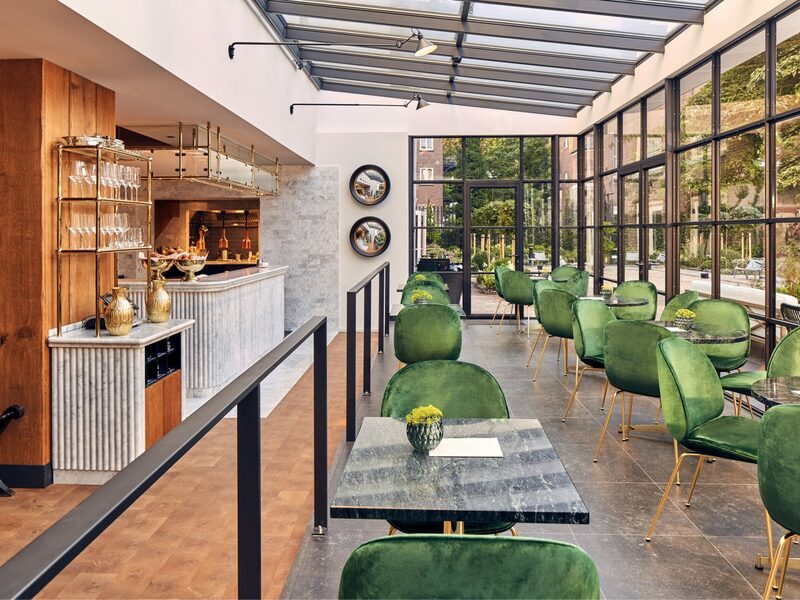 Downstairs, the Italian-inspired restaurant Lotti’s (from the minds behind Soho House) has its own retractable roof for warm-weather dining, while the lobby moonlights as a cocktail bar whenever you’re in need of a post-museum pick-me-up. 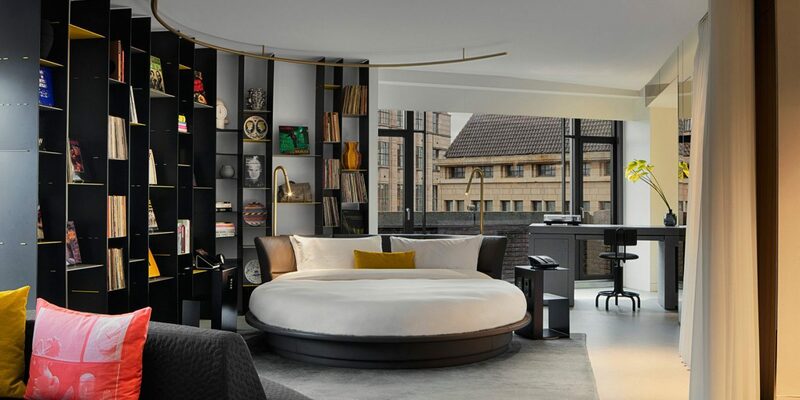 Waldorf Astoria’s highly anticipated Netherlands debut makes a luxurious statement. 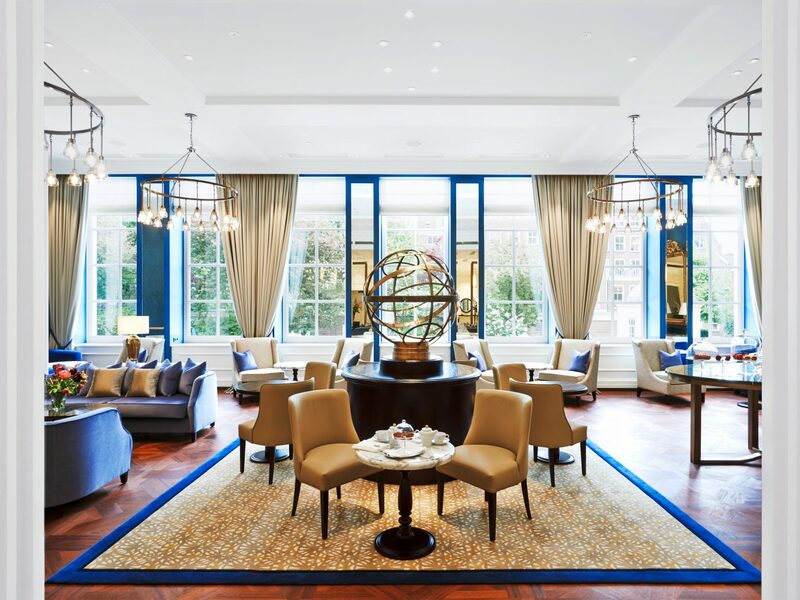 Six 17th- and 18th-century palaces fronting the UNESCO-protected Herengracht canal set the stage for 93 elegant guest rooms overlooking the canal or courtyard garden, an original grand staircase by architect to Dutch King Willem III Daniel Marot, and public spaces lined with 18th-century art. 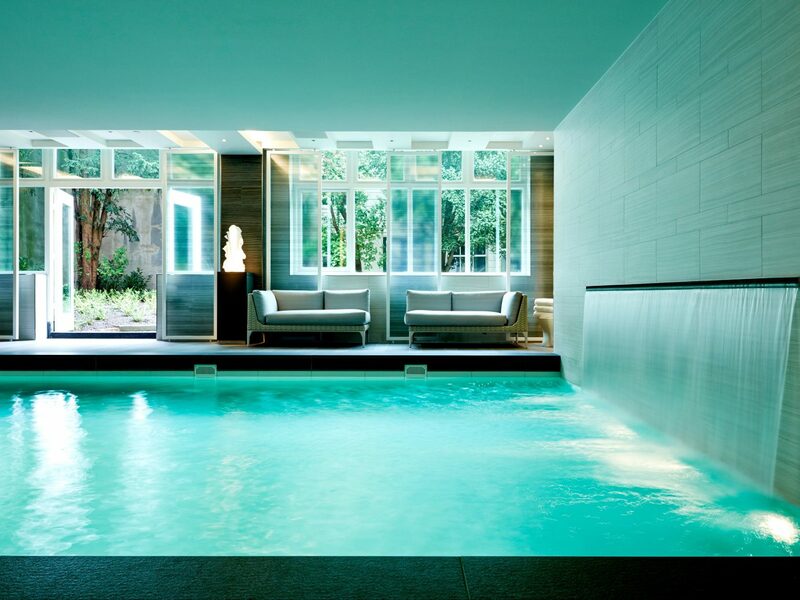 Amsterdam is a museum of art and design, but we wouldn’t be surprised if you spent the majority of your time inside: there’s a Guerlain spa with its own indoor pool and hours-long treatments, lauded chef Sidney Schutte’s two-Michelin-starred Librije’s Zusje Amsterdam restaurant, and a see-and-be-seen lounge dubbed Peacock Alley where you can take your afternoon tea. 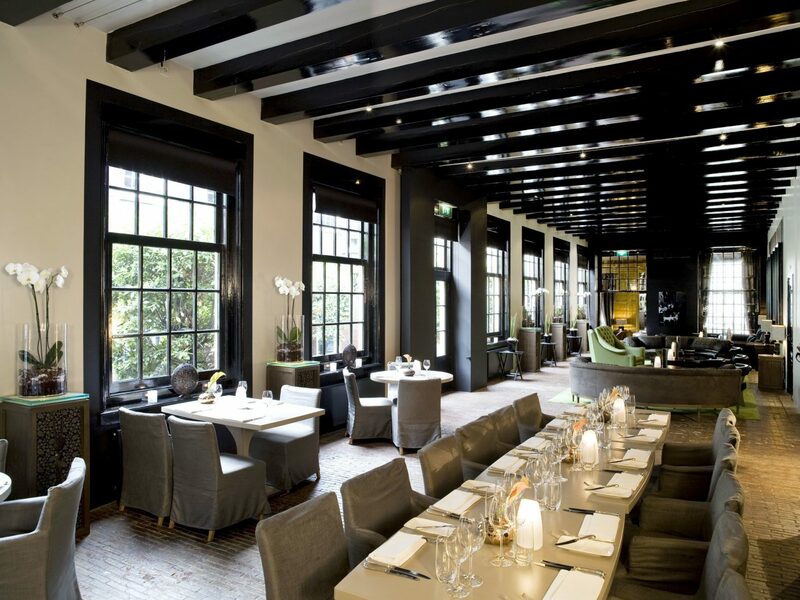 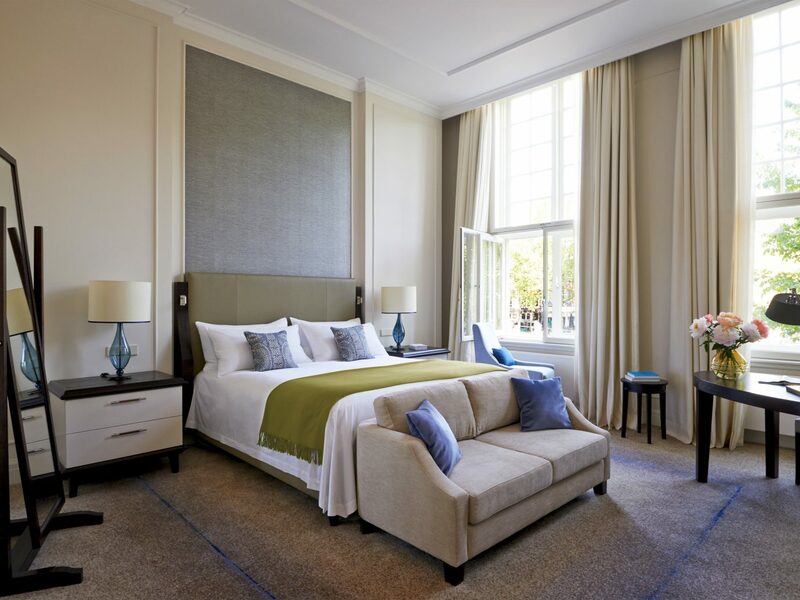 The Dylan’s romantic 17th-century façade fronting the Keizergracht canal belies the modernity of what lies within: sharply contemporary spaces lean heavily on Asian design notes, from black lacquer bed frames and mahogany floors in rooms dubbed “Kimono" to silk fabrics and a hidden interior garden. 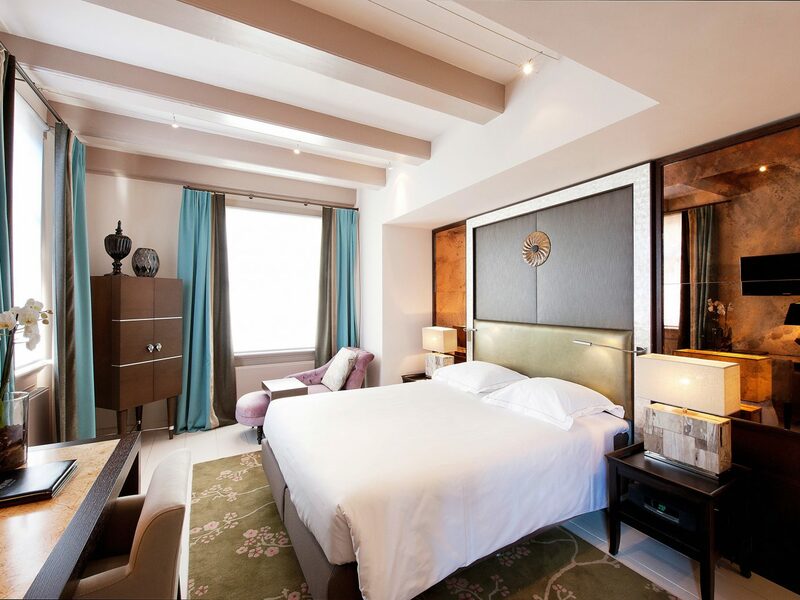 Ask for a room overlooking a canal—the best of which are duplexes with space to spread out. 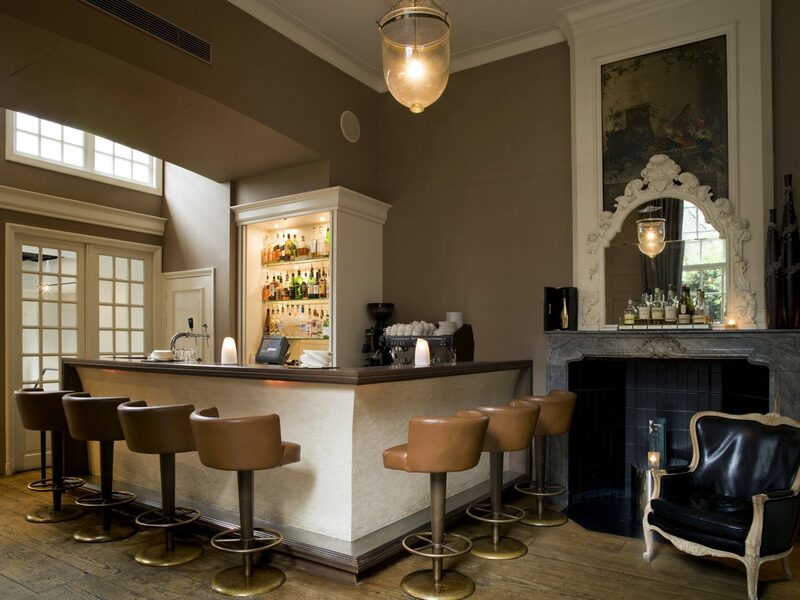 Hit up the Michelin-starred restaurant Vinkeles for contemporary French fare (braised veal with cucumber and citrus; turbot confit with mussels and artichoke) served in sunken dining room that used to be a bakery–complete with the original 18th-century ovens. 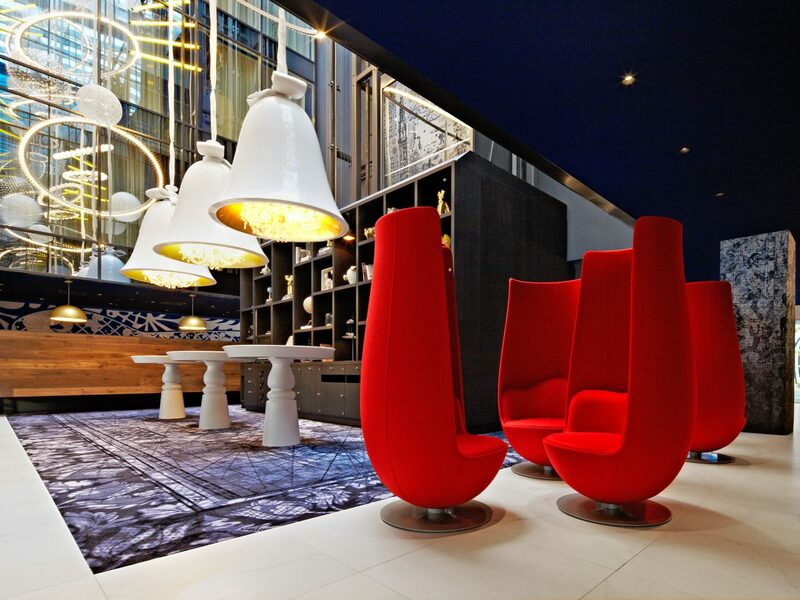 You don’t get designed by Marcel Wanders, the Lady Gaga of Dutch design himself, without looking a little avant-garde. 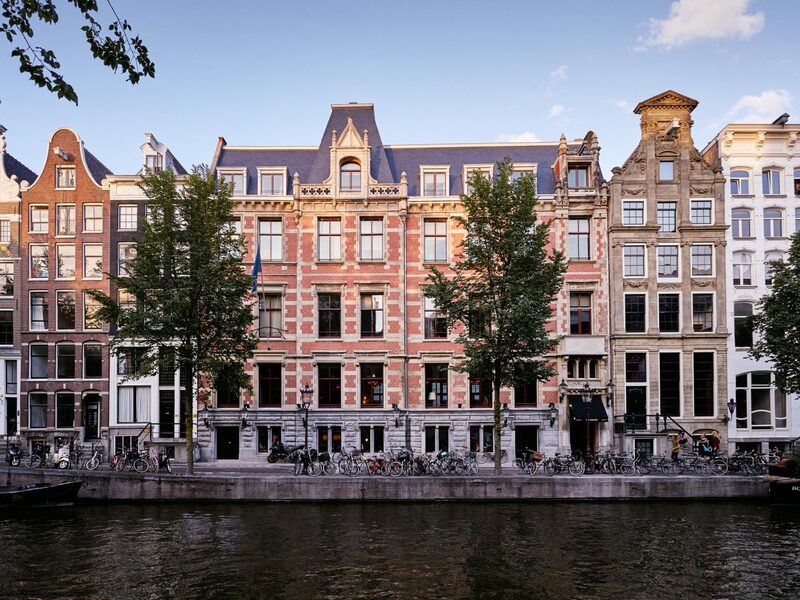 This former library turned visual marvel along the Prinsengracht canal assumed the role of “Alice in Amsterdam”—and all that that entails. 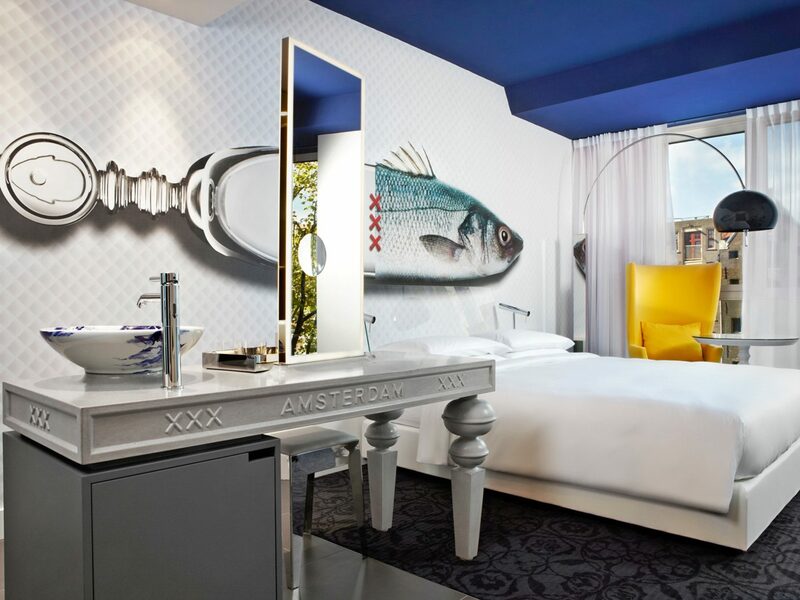 There’s a Mad Hatter mural and crystal chandeliers enclosed in larger-than-life bells in the light-filled atrium, while equally quirky guest rooms feature oversize murals of open-mouthed herring, walk-in showers encased by two-way mirrors (you can see out, not in), and blue-and-white wash basins that call Delft pottery to mind. 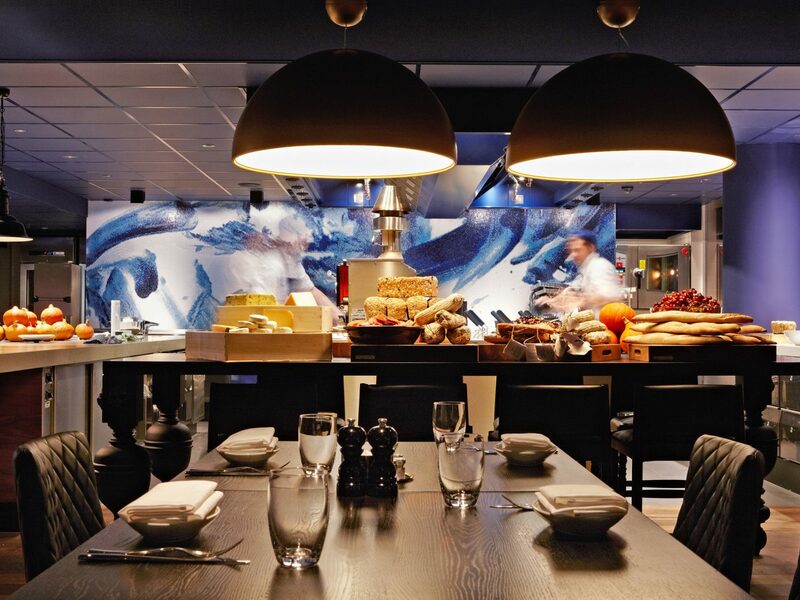 The restaurant’s seasonal menu is, thankfully, much more down to Earth, and superb at that: go for the bouillabaisse or gnocchi with egg and truffle, served from an open kitchen.